At Car‑Wal Garage Doors, you can choose from a wide variety of garage door models ranging in style from traditional or country to contemporary and urban. With so many great choices, we definitely have the perfect garage door to fit your budget, style, and needs for your home or business. At Car‑Wal Garage Doors, you’ll not only get great products, but you’ll also get the very best customer service and amazing quality from beginning to end on all installations, repairs, and other services. Our skilled team members have the experience and expertise needed to repair any brand of garage door or garage door opener. 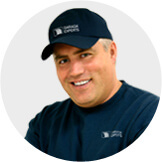 We employ the most experienced and skilled technicians and installers in the business. All of our employees have years of experience with Garaga, the top brand in garage doors, guaranteeing you an easy, smooth, and efficient installation process and the highest quality products. Let’s design the garage of your dreams! Both Car‑Wal Garage Doors and Garaga stand for excellence. We believe that a beautiful garage door can significantly improve your home’s curb appeal, which is why we always work hard to help you choose the best fit for your home. A new garage door can be like an instant home improvement facelift. With our convenient Design Centre tool, you can easily design and create your very own customized garage door to give your home that aesthetic boost you’ve been dreaming of. Just start by choosing your favorite door model, and then you can move on to selecting the colour and fun accessories and additions (like doorknockers and windows). Before you know it, you’ll have an amazing and totally custom garage door for your home! Why wait? Try it out now! Need help choosing the right garage door? Let our experts help you! With so many products and brands to choose from, you might be feeling a little bit over whelmed, but don’t worry. We have the experience and expertise to help you through the whole process of buying new garage doors. 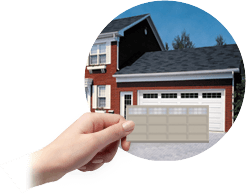 Here at Car‑Wal Garage Doors, our knowledgeable team members are happy to help you find the perfect garage doors to suit your home and your budget. We have more experience than anyone else in the industry, and our advice, guidance, and customer service are unbeatable. We guarantee that we will always take the time to educate you on all of your options and help you select the best garage door with the right accessories and insulation for your needs. At Car‑Wal Garage Doors, we believe in bringing our customers the finest and most reliable products in the business. All of our doors, accessories, and other products are guaranteed to be durable, efficient, and safe, which is why we carry LiftMaster garage door openers. 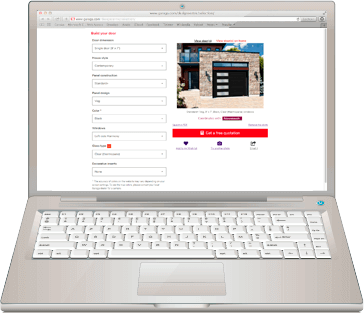 LiftMaster garage door openers feature the latest and best operating system with Internet options accessible through your smartphone, tablet, desktop or other device on many models. They are also as safe as they are efficient and convenient, and you’ll always have the peace of mind, knowing that your garage door is safely and securely closed. While you’ll mostly use your garage to park your car, you probably also use it a great deal to get in and out of your house on foot, as well. To ensure your safety – whether you’re in your car or walking in or out – we advise scheduling regular checkups to ensure that your doors and door openers are properly maintained and functioning well. At Car‑Wal Garage Doors, in Clinton, ON, our expert maintenance team members are here for all of your garage door needs. When you call us for an annual 10‑point maintenance program, you’ll get a complete visual inspection of your garage door, lubrication and maintenance on all moving parts, and any minor adjustments that your door needs. With a single, affordable checkup each year, you can rest assured that your garage door is in great working condition all year round.